I am starting a new blog and wanted to share it with you ! I was an exchange student from 2011 to 2012 in Seoul. 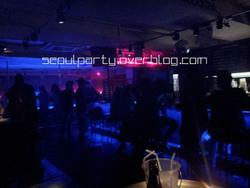 My blog is about clubbing in South Korea, mostly the night life. I want to show you what are the good clubs, bars and restaurants that you can try if you go in South Korea ! I started it yesterday and will continue to update it everyday. Btw, if you have ever been to clubs in Seoul. What is you favorite club ? I had a look into it and loved it! Seoul is one of the places i wanna go soon. I am also working on a night life events site for İstanbul. http://geceneyapsak.com Hope you check it out and like it.